MaseratiStore.com has 40 different domains worldwide. With such a diverse customer base, they were having difficulty engaging their visitor traffic in a personalized manner. They were looking for innovative ways to enhance their onsite experience to increase their conversion rate and AOV. MasertiStore.com is the online store of the famous car manufacturer based in Modena. It has been a symbol of Italian luxury for the last 100 years. Maserati has a presence in over 40 countries worldwide. 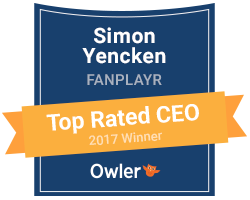 Fanplayr analyzed over 50 attributes of each visitor to understand the intent and digital body language of visitors during their &me on site. Fanplayr account managers created up-sell campaigns by targeting visitors in real-time based on cart value, time on site, and the products mix they added to cart.